Plus, we’re open year round through holidays and the summer months! 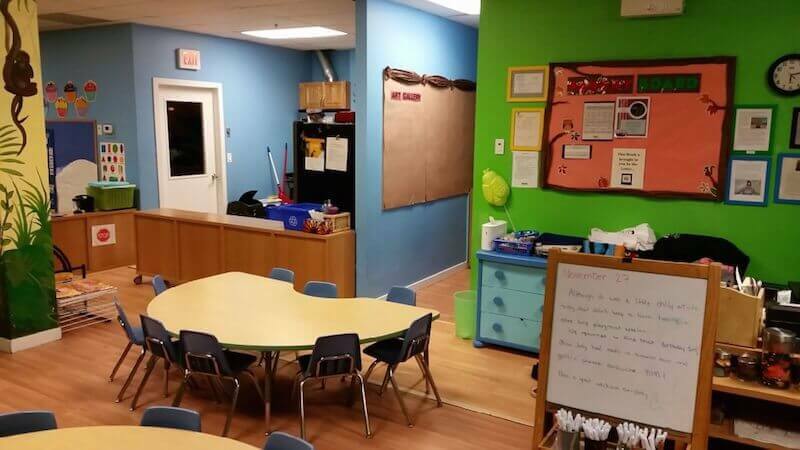 Conveniently located just one block from Lougheed Skytrain station, parents looking for a Burnaby daycare will also find our location to be a great access point for easy drop off and pick up of children. Our local daycare is situated in the Encore Residential Tower, and includes access to a rooftop playground. Your family can now receive quality child care that is convenient for anyone near Coquitlam, Burnaby, North Burnaby, New Westminster, ‘Burquitlam’ and surrounding areas. We offer an educational, nurturing, and FUN environment for babies, toddlers, and young children. It is more than just babysitting. While keeping daycare prices affordable as we can, our focus is to keep your child occupied with fun activities– and make sure they are adequately prepared for kindergarten or grade school! Instil positive behaviours and educational values in your children. Our daycare program does both! 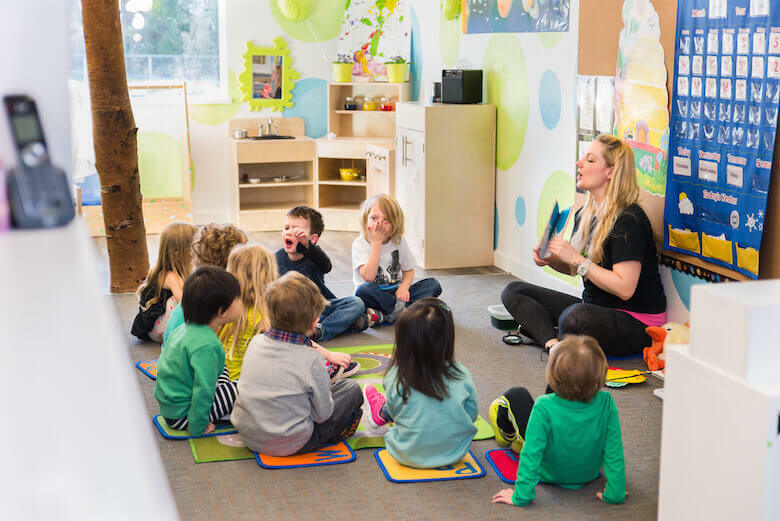 Our toddler programs are effective because they provide a customized curriculum of structured play and academic learning. It is designed to always keep your child engaged and interested. Your child will love coming tour Coquitlam / Burnaby daycare and might never have a reason to be bored! And of course, this is all put into action by a team of licensed early childhood educators who LOVE working with kids! Their mission is to be attentive to your child’s needs by guiding them through positive behaviours and constructive social interaction. Whether it be working alongside an older ‘buddy’ during our ‘Buddy Days,’ learning how to share, taking turns and playing nicely with others, or respecting teachers, your child will practice being mindful and considerate of others around them. 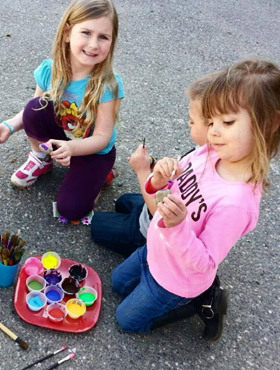 Through our art activities such as painting, crafts, music, acting, singing, and dancing, your child will be able to positively use their bodies to release energy and have fun! We present a variety of topics related to math, science and English. To do this, we use phonics, workbooks, colouring, and more! Young children might not have experienced spending a day without their parents. Furthermore, young infants can have adverse emotional reactions in an unfamiliar environment. We aim to make this transition into preschool or daycare smoother by keeping them occupied with tasks and activities. This challenges their brains as well as ensures they are having fun. They might not even want to go home at the end of the day! We believe toddlers and preschool children are all eager to learn. They just have to be in an environment that facilitates it properly. When your child walks, crawls, or runs through our doors, we will make sure their curiosities about their surroundings are met with engaging and focused activities. Circle time: Where we share stories, sing and listen to music, and even practice sign language! Snack time: One of our initiatives is to encourage healthy eating and learn about food in a tangible way. Children bring in their own fruit and vegetable snacks to share with the class. Theme days: Usually centered around a ‘nature’ component. Whether it be the rainforest, trees, animals, etc, we design interactive activities around that theme that will increase a child’s overall understanding of it. Academic phonics: We introduce math and science concepts in ways that can be learned by all ability levels. We also aim to improve English speaking and vocabulary while learning a bit of French too! All at preschool age appropriate levels of course! Field Trips: Our group daycare values real life experiences where children can discover more about the city in which they live. We go to the bowling alley, community parks, the recycling depot, Science World and the Library. Play time: Both indoors and outdoors. We’ll make sure your child gets lots of fresh air– especially since we can access the rooftop playground! Curious? 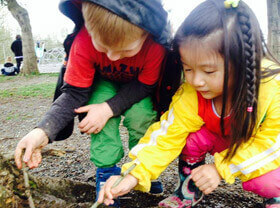 Contact our daycare in Coquitlam today! We’re currently full, but are accepting applications for a wait list. If you have additional questions, would like to arrange a tour, or kickstart the registration process, give us a call anytime at 604-880-0397. Please do not show up without booking an appointment, however. When we’re able to, we would love to show you our Coquitlam daycare facility and introduce you to our friendly staff. We cannot wait to meet you and your child! We do not take drop-ins!